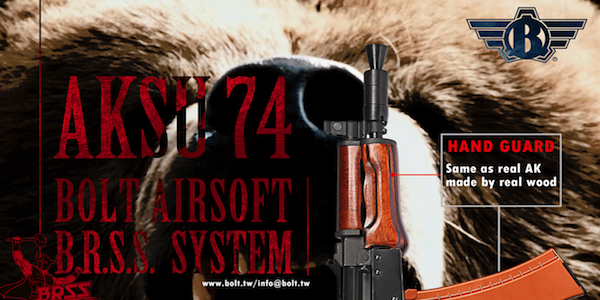 Check their new AKSU74 with BRSS! The strongest BOLT AK recoil AEG is completed and ready to shock the world in August! 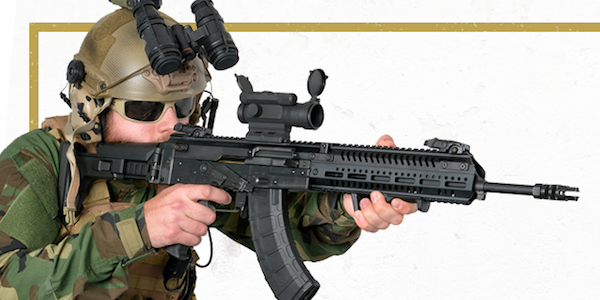 This AK AEG is the first AEG with the most strongest recoil simulation of Airsoft in the world. They promise us a new improved design which made the recoil power just like a real AK. If that's true, that would be amazing! The model stays very close to it's real steal conterpart, therefore make it a very realistic replica. It comes with a complete new gearbox design, a lot of new internals and realistic bakelite made motor grip. It's btw Front Wired. Also worth mentioning is the new improved body structure, 50% more strength! In store in Europe ealry Q4 2018. Stay tuned! 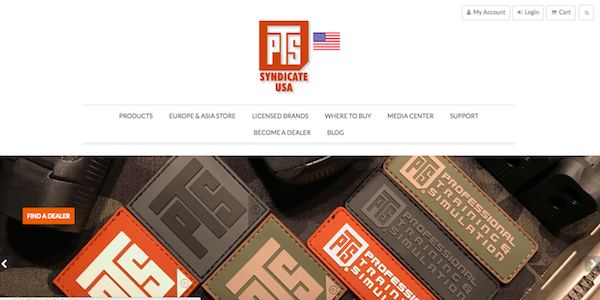 Start planning your trip to the biggest Airsoft Convention in the U.S.A! The biggest Airsoft Convention in the U.S.A, the Evike AirsoftCon, is set on the 20th of October and everyone's invited! And don't forget the European Frysen Airsoiftcon in Sweden (25/26 August). Great gatherings to meet and great with the community! 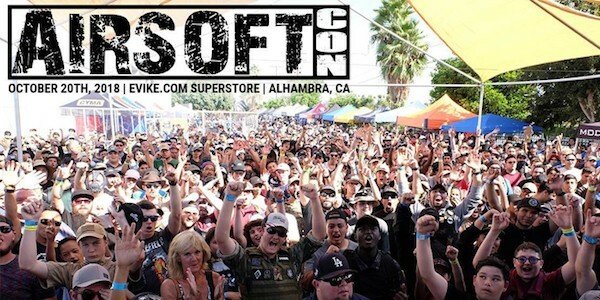 "AirsoftCON is an annual celebration and gathering of the Airsoft community in the Los Angeles area in Southern California. AirsoftCON started out as an annual sale event, but has evolved into the nation's largest Airsoft Convention. To save time at the event entrance, please complete the required registration and waiver online. All pre-registered attendees will also receive a free AirsoftCON patch! Don't forget to bring a printed confirmation of your registration or have your confirmation e-mail handy at the event." ASG continues to improve and optimize the EVO platform! 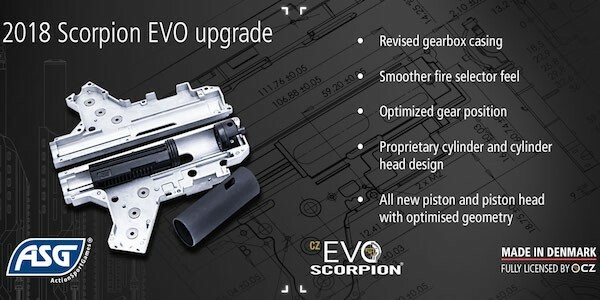 100% made in Denmark, the EVO platform continues updates and improvements. This year, new improvements to the gearbox! In September we will visit ASG HQ and check out the new EVO for sure!